How much is a Razor electric scooter? 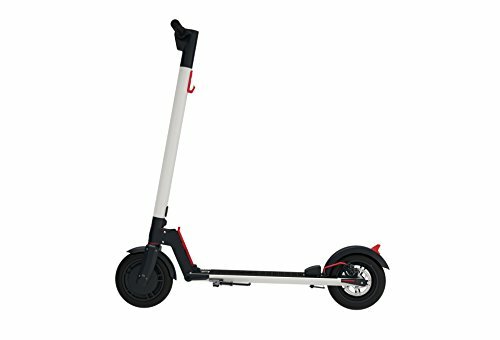 Where can I buy an electric scooter? How to ride an electric scooter? The best electric scooter on the market is a blend of portable, efficient, and sustainable. This eco-friendly travel method relies on battery power – riders can zip through the morning commute without air pollution that comes with gasoline use. These nifty travel tools also fold-up and become a portable accessory when entering the office. These clean-energy rides come in a wide range of speeds, battery power, and prices. There tends to be versatility between commute options and just a fun escape. Choosing the perfect fit really depends on preferences and needs. Knowing features and brands serve as great benchmarks when making the choice between speed, price, and aesthetic. 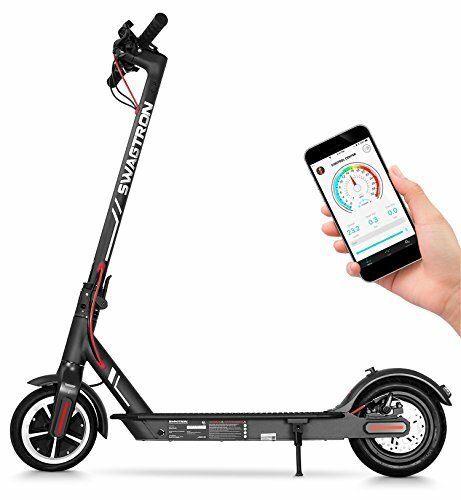 There’s a lot of options, so let’s jump into finding the best electric scooter for adults! The first adult electric scooter on the list is a practical and versatile option. It has a Dolly feature built-in that allows it to be folded and then transported like a roller-bag suitcase. This is super useful when carrying or riding the scooter isn’t an ideal option. Flat tires aren’t an issue with the airless rubber tires. Specs include a top speed of 15 miles an hour with the ability to travel up to 15 miles with a single charge. It weighs in at 28 pounds. It has a 36-volt, lithium-ion battery that requires about 3.5 hours to fully charge. Why We Liked It – The Glion Dolly is great for the commuter looking for a straightforward option. In addition to the handy dolly feature, it comes with a carrying case and folds in mere seconds! Fancy a kick scooter to get more exercise? Try our kick scooters for adults review. No scooter list would be complete without an option great for the kids as well as adults. Razor has been a staple brand in this market since its inception. The Razor E300 electric scooter for children combines great safety features with a cool design to make for a safe, kid-friendly ride. 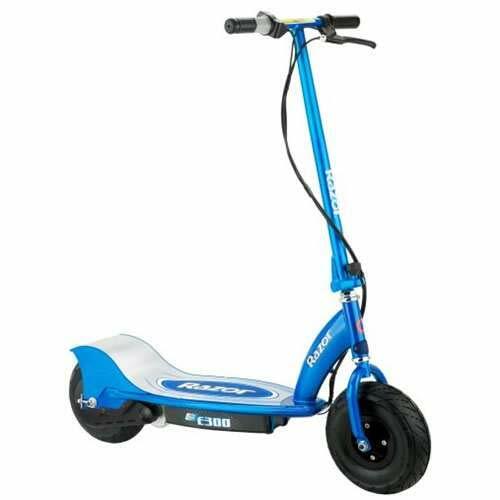 This rechargeable electric motorized scooter has a chain-driven motor with a top speed of 15 miles per hour. The motor is reported to be very quiet and is accelerated via a twist grip throttle. It has a large deck and frame, so the ride is still suitable for teens and older riders, promising for a long life of smooth scootering. Why We Liked It – Razor is a brand that speaks for itself, and the best of the brand comes forward in the Razor E300. The wide deck frame allows for safety regardless of rider size or age. Try Razor’s E200 as an alternative. Commuters delight at this clean-cut design. The GOTRAX GXL is one of the best electric scooters for commuting. It has shock-absorbing tires for a smoother ride that is absorbed through the 8.5-inch tires. The 250-watt motor and 36-volt battery increase speed and distance. In terms of smart features, this model has an LED display to showcase speed and battery life. The max speed is around 15.5 miles per hour with one charge bringing up to 12.5 miles of distance covered. It has an easy fold storage design, front, and rear braking, and recharges in under four hours. Why We Liked It – The clean design of this product makes the commute look cool. The model is only enhanced by the battery range, smart features, and easy fold portability of the GOTRAX GXL model. The Swagtron is a necessary addition to any top rated best electric scooters list. The lightweight carbon fiber design makes for one of the lightest models on the market. However, it still delivers with a max speed of 18 miles per hour and a range of up to 11 miles per charge. The high shock absorption provides a comfortable ride. A front spring helps to smooth out the impact on the ground, even with bumps of city sidewalks. Additionally, smart features include a control panel with battery life and speed at a glance. It also folds to easily store into tight spaces. Why We Liked It – At the end of the day, the lightweight design that is still able to withstand shock sets it apart from the rest. This is a smooth commuter scooter on various terrains. The Ninebot shows Segway isn’t just for a tourist trip. 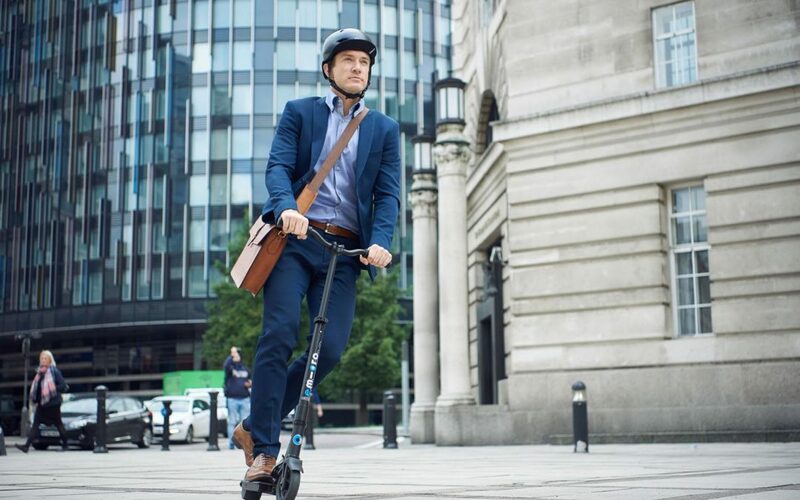 It is also great as a portable, electric scooter with a range of up to 15.5 miles and max speed of 15.5 miles per hour. 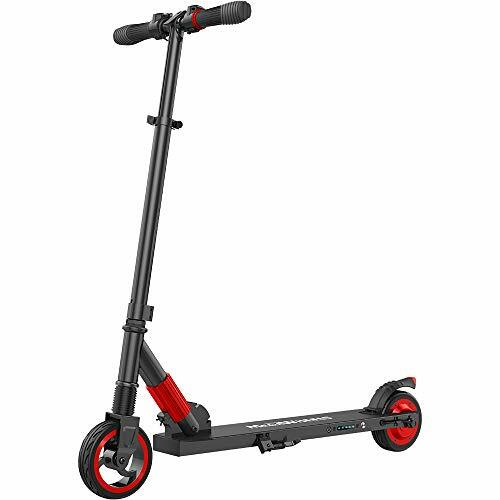 It also has a strong, 187 WH lithium-ion battery to prolong the battery powered scooter’s life on a single charge. In terms of tremors, the Ninebot has great rear absorption through the 8-inch front tire and the 7.5-inch rear tire. The speed and range make the Ninebot adult electric scooter ideal for bothering commuters and recreational users. It weighs about 28lbs and is foldable for easy storage. Why We Liked It – There are many reasons to like this electric standing scooter, including protection from Segway in case of any issues. Additionally, the ambient lighting really sets it apart as both safe and fun. This is undoubtedly a great electric scooter for adults. Another electric scooter for kids is the MEGAWHEELS, mostly because it is optimal for riders under 150lbs. It is a clean-energy, cost-effective option to help kids stay active and travel quickly to a friend’s house or school. When buying top-rated electric scooters for kids, growth is a concern. This model has adjustable height, allowing it to grow with your child. A full charge typically takes riders 5-8 miles, pending road conditions, and tops out around 14 miles per hour. The one-second quick-fold creates easy transport of this lightweight, 18lb aluminum alloy design. It also has a strong 250-watt motor. Why We Liked It – For parents considering buying electric scooters, this is a cost-effective option for a lightweight model capable of adjusting as your child grows. This and the emergency/rear braking lights make this the kid-friendly consumer choice. City streets are no match for these 10-inch tires. Commuters can fly down city streets with this powerful electric scooter that is capable of reaching up to 40mph, making this the fastest electric scooter. Charge time is just three hours, but with a range of 50 miles, charging might not even be that frequent. The folding design is accompanied by two 1000-watt motors for the front and rear wheel. All-Wheel Drive mode takes it to a more powerful level. 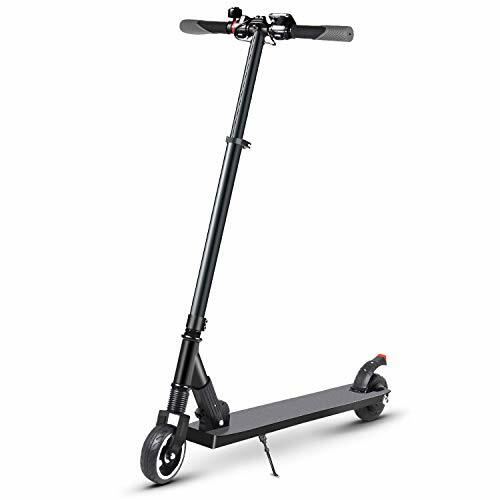 There is both an electric standing scooter option and an electric scooter with seat version of this model. Why We Liked It – The 50-mile range makes this a star choice for a dedicated commuter scooter. The tires are able to withstand city streets and the folding design is another commuter-friendly feature. It’s also great for those looking for a sit on electric scooter. The next kid and commuter-friendly option on the list is an all-terrain model that is one of the only off-road electric scooters on this list. It has unparalleled compactness when folded, making it easy to take on the family vacation. It is also one of the lightest on the list at just 16 pounds. Despite the thin deck, it can bear a rider up to 200lbs, allowing it to work for teens and adults alike. It maxes out around 14mph and holds a 25-volt rechargeable battery, reaching full charge in 1.5 hours. Why We Liked It – BIBENE might just hold the key to versatility. While not the fastest, it is a light electric scooter for kids, it charges fast, and can be used for teens and commuters alike. The second electric Razor scooter on the list is kids-only. It has a smaller deck and frame that makes it suitable for kids 8 and up. It has a safe speed, promising a fun riding experience without danger. Additionally, Razor incorporates great technology to keep the ride quiet. It gives around 40 minutes of fun-filled ride time. The 24-volt battery is sealed so curious fingers can’t reach it. The model has a twist-grip acceleration and front hand brake. The sleek design will make sure your child is the coolest kid on the block. Why We Liked It – Similar to previous models on this list, the adjustable handlebar makes for a ride that grows with the rider. 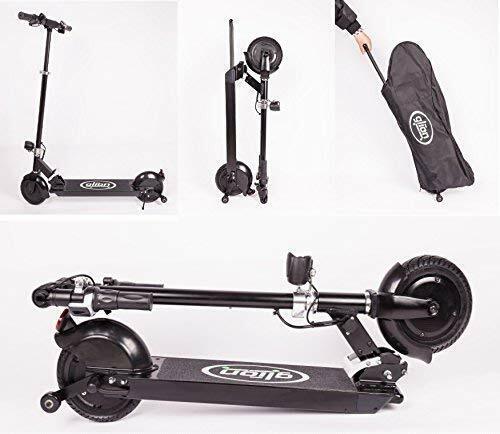 This model also has a great aesthetic look perfect for kids – this is one of the best Razor electric scooters for sale. The last of the best clean-energy electric scooters for 2019 is a cost-effective and kid-friendly option. 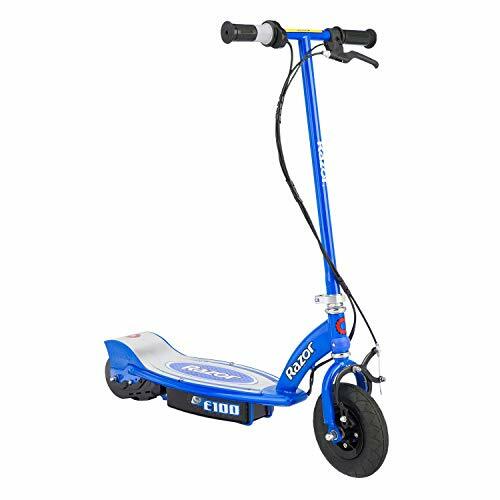 This small scooter is perfect for ages 7 and up and only goes up to a safe 9.5 mile per hour. There are two rechargeable 12-volt batteries offering up to 9.5 miles of fun, but it does have a 6-8-hour charging time. The lightweight frame and zippy speed makes it great as a tag-along ride while running errands or walking the neighborhood. For extra safety, there’s a sealed battery and a hand operated rear brake. It comes in either pink, blue, or green. Why We Liked It – Costzon electric scooters make the kids feel cool and parents feel safe. The max speed is optimal for this while two batteries mean the fun doesn’t stop when one runs out. A lot of information on the top electric scooters on the market was just shared – if you are new to this market, some of the terms might seem foreign to you. Returning buyers might have taken a trip or two and feel totally comfortable. Regardless, that was a lot of details and information to take in all at once. Now it is time to break down the buying aspect and discuss details of what to look for when investing in this ride. Scooters are a great travel method for those seeking a minimum amount of travel hassle. Electric power plus portability makes it a great way to get around town. However, what specs are out there to be considered when purchasing? Whether standing or sitting while you scoot, comfort is key. Without proper suspension or quality tires, the ride becomes a bumpy hazard even on smooth pavement. Suspension and tires need to absorb the shock throughout the scooter in order to make a more pleasant ride for you. Additionally, the handlebar should feel firm and stable, even when zipping along at top speed. Speaking of speed, this is another important spec to consider. After all, the scooter needs to get you where you want to go, and that’s hard if it is a slow ride. Electric scooters for adults have two speeds – the maximum and the cruising speed. The max is typically what is advertised. Just because the maximum is listed at 15 or 20 miles per hour doesn’t mean that’s how fast you’ll go every time. It is not realistic to consistently hit max speed, especially if the wheel and suspension can’t handle this. Cruising speed will be the more realistic option, but harder to determine. Delve into customer reviews with a wary eye to learn more about the optimal speed level. Range refers to how far one battery charge will get you in terms of miles. Just like speed, height and weight can make this different from the advertised distance range. For adult electric scooters, look for something around seven to twelve miles. Higher-end scooters might be able to double this number. This is oftentimes the most technical of specs and therefore difficult to understand for new consumers. Manufacturers throw out lingo and statistics with estimated ideas of how long the battery will last on one charge. However, the real world has so many variables affecting battery life. This makes it tricky to trust estimate mileage range on a single charge. Some factors affecting battery range is the rider’s weight and height, the geography, and any frequent start/stops (hello red lights). Another variable is the battery itself. Battery size plays a role in the range of a charge. Scooters will be listed with the technical aspects of the size – mainly Amp Hours (Ah). Voltage is also necessary here. Multiply those two factors together for Watt-hours. Watt-hours give the best indication of how long the battery will actually last. Safety features for a scooter include aspects like headlights, anti-theft devices, and antilock brakes. Headlights make the ride safer in the dark and alerts people of the scooter’s presence. Antitheft includes things like parking mode locks and even motor locks. This helps prevent theft of this valuable investment. Antilock brakes are a key aspect for those who prefer to push the maximum speed or can expect sudden stops. Antilock brakes are also extremely useful when traveling in hilly locations, allowing riders to embrace the downhill slope without fearing for their safety. Part of the greatness of this ride is the ability to fold and go. 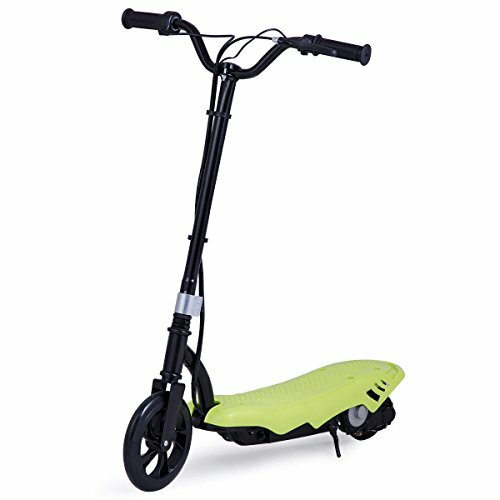 As mentioned before, a foldable scooter is great for commuters transitioning from travel to work. So, bear in mind weight and size when purchasing. Some scooters can be rolled around while folded up but others might require being carried. Portability is also key if a last-minute change of plans means jumping on public transport. A portable, foldable electric scooter will be able to accompany you while a heavier one might make this a stressful ordeal. With advancements happening everywhere, it is only natural electric scooters have begun to feel some of these developments. Some state-of-the-art devices will have Bluetooth capability and mobile apps that allow users to track trip information. This can report back on speed, range, distance, and more. The handlebar may also have some smart features – like built-in battery display or an LCD dashboard. This is particularly useful to avoid a sputtering battery halfway to a destination. Smart features certainly drive the cost up, so the decision to seek these out really depends on the buyer. This is a sensible question to ask with a vague answer: it depends. It depends on desired specs, intended use, and all the other factors discussed thus far. For the most part, electric scooters range from the mid $100s to the over $1000 range, depending on how high-tech you plan on going. It is an investment, so definitely consider cost versus use before purchasing. Some sites offer financing options, allowing for easy monthly payments rather than one large purchase. From the early childhood days, Razor scooters have emblazoned themselves as a solid brand of scooter. The company has grown and adapted to market needs, so it is no wonder how so many made this list. 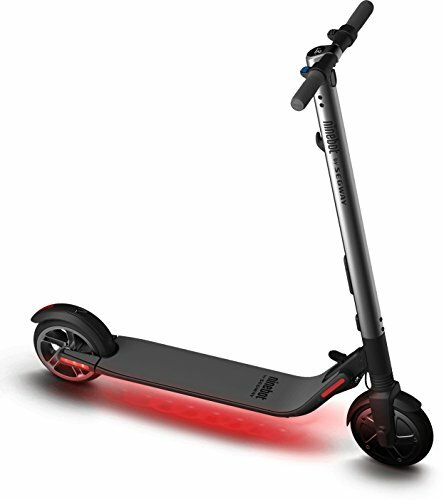 The price on Razor electric scooters also ranges from $200 to $300. There are many retailers for electric scooters, so the choice is yours. Direct manufacturer purchases are one route, but another great one is through online retailers like Amazon. 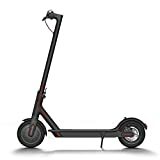 Amazon specifically has the financing options available for most electric scooters, helping you make the investment on the desired purchase. The concept of riding a scooter remains the same for electric as non-electric rides. Scooters are great for zipping through a commute or cruising the neighborhood, especially if you are comfortable on this ride. Electric scooters differ from non-electric because they don’t require foot power. Instead of propelling movement via feet, a battery charge will surge you forward. Simply turn on the device, step on, and know the handlebar controls for accelerating and braking. Sometimes this is controlled solely from the handlebar while other devices might have a different method of navigation. Controls are important in learning how to ride a scooter, so consider this spec in your search. The maximum speed varies and might not match what is advertised. Most scooters for adults max out at around 15 – 20 miles per hour, with a few exceptions. Children’s scooters won’t be as fast, normally around 10 or 12 miles per hour. This may change based on rider height and weight, the geography of the area, and more. Certainly, don’t expect to go full speed up a hill! For extended peace of mind, also look into available warranties or service packages offered from retailers. Scooters were actually first invented in 1817 Germany and were made from wood. The first foldable aluminum scooter was made in 1996 and marketed as the now-famous Razor scooter. The electric scooter market is vast and growing. Avoid getting lost in the lingo of Watts, voltage, and range by knowing what information to seek when shopping. Ultimately, choose a brand you trust, especially one who values customer service. If an issue ever does arrive, you’ll need to work with the manufacturer. If the brand doesn’t value the customer, this automatically makes for a stressful experience. Customer reviews can be a good indication when searching for the right brand. Always take these with a grain of salt as experiences detailed here can be skewed negatively or positively. When conducting this search, get familiar with the specs and lingo that is bound to appear consistently across products. This will make for a more comfortable shopping experience that ends with the best investment. The best electric scooter is out there and just a few clicks away from being the newest, eco-friendly purchase.